We're in Utrecht already, have to wait until the train moves on again. So Junior is going to moblog a bit again! Because Junior is listening to music in the train together with the secretaries, uncle Michel and uncle Wouter. Because the female secretary has a pusp, and uncle Michel and uncle Wouter both have an aai-pod. Junior has the laptop together with the male secretary, the biggest and best that can play music! Also the Spore tune, even though today was not about Spore, everybody talked a lot about Spore though! 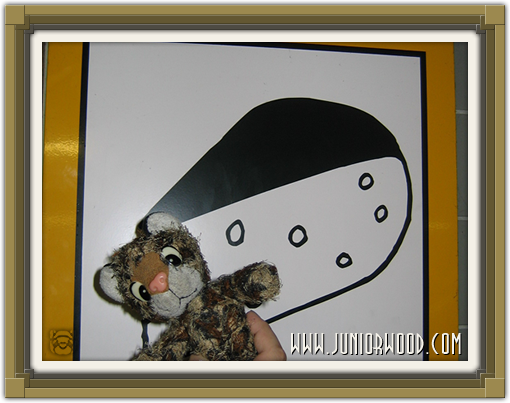 But the train will go further so Junior is going to say bye again. Bye! Pooo poo... Junior has done a real log. Aunt Nita received us at EA, where all of us saw Sims with apartments and witches and wizards and other sims, and they went flying on brooms and rocking on rocking horses and climbing in the monkey bars and up spiral staircase and much much more! It wasn't really busy, so Juior has played a lot with both secretaries. 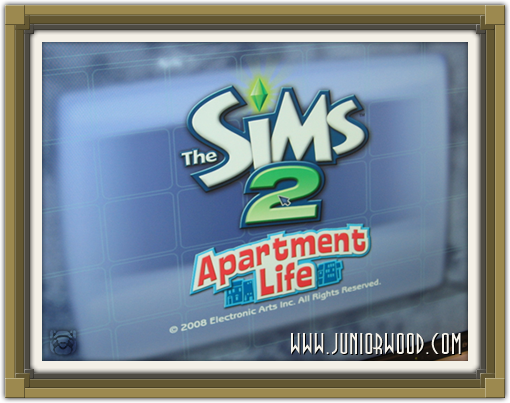 This is the loading screen from The Sims 2 Apartment Life. Junior in front of The Sims 2 Apartment Life. Just now we had a frappuccino at the big Starbucks at Schiphol, and now we're waiting for the train we just missed with koffie (male secretary) hazelnut hot chocolate (female secretary), uncle Michel and uncle Wouter. It was a lot lot lot lot lot of fun and monday there will be more information online at Simsnetwork and The Sims Zone. There you'll read much more about the game. 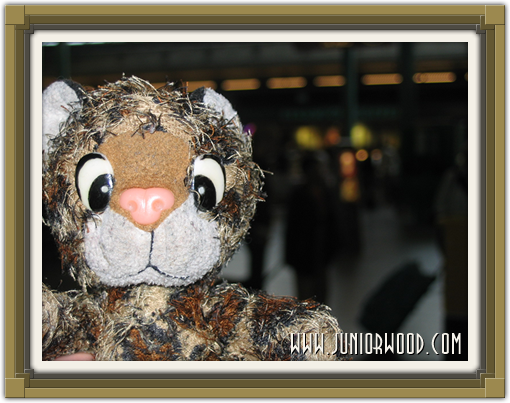 Heeey, Junior is now at Schiphol with the secretaries and uncle Michel and aunt Angela and uncle Martin and uncle Wouter so Junior has to go again, bye! Junior at Boing 33 Cheese! Uncle DekDeS with Junior at Schiphol! 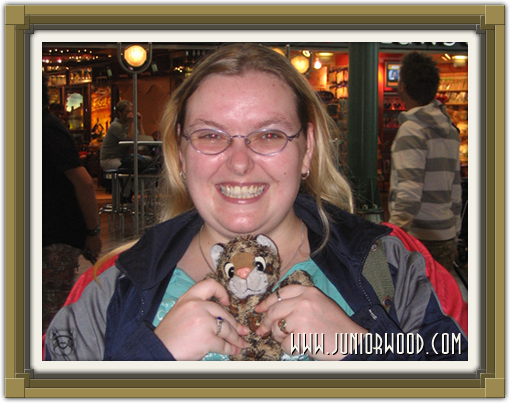 Aunt Mogway with Junior at Schiphol! 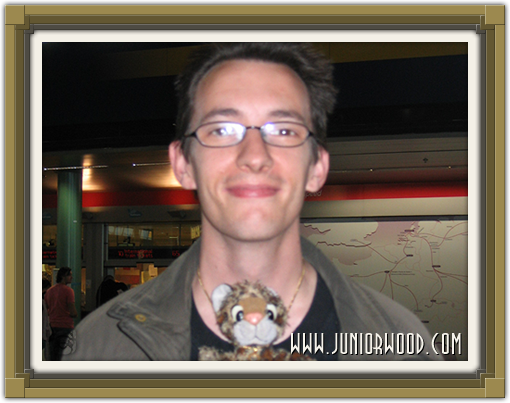 Daddycat with Junior at Schiphol! 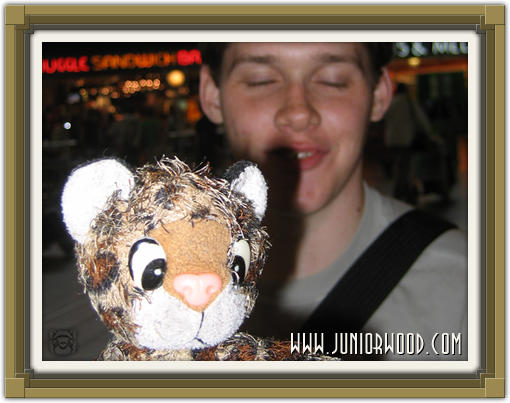 Junior and in the background uncle Wouter at Schiphol. Yesssssssssssssssssssssssss, Junior is back! Now at Utrecht station, we have to wait for the next train again. We could have waited in Eindhoven after all, but this is alright too! It's raining now and that's less fun, Junior thinks. EA is getting closer, though! ProRail says they have to work at the rails some time, but that doesn't matter, because it isn't today. They have to go on vacation too, you know! They have that a lot though, if Junior has to believe the male secretary. Anyway, when we arrive at Schiphol we'll meet aunt Angela and uncle Martin there. As long as it's not raining then, because Junior thinks we may have to walk outside a little bit. And then Junior will get wet, and that can't happen! It's been a long time that Junior has seen aunt Angela and uncle Martin, so it's going to be superfun! But Junior will now go eat a bun, Junior is hungry. Bye! Ewwwooooooooo!!! Junior is back again! Today Junior got up quite early again, at 7am already! Because there is a big day ahead of Junior, so Junior has to moblog again. 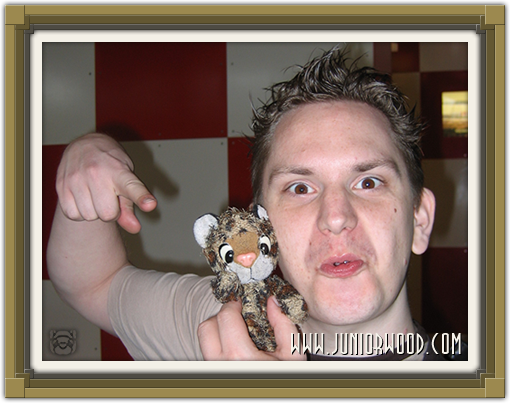 Today Junior will go to EA near Schiphol to play the new Sims expansion pack Apartment Life, together with the secretaries, uncle Michel, aunt Angela and uncle Martin. It's going to be superduperduperduper much fun! 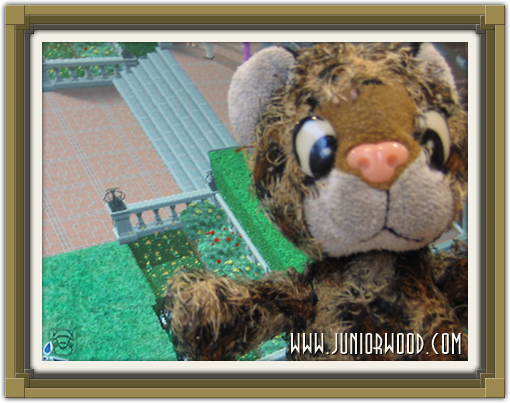 Junior lives in an apartment himself, so Junior can really identithingy with the little Sims who will pay weekly rent.